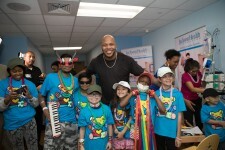 Miami, Florida, February 17, 2017	(Newswire.com) - ​Jackson Health Foundation, the fundraising arm of Jackson Health System, is excited to announce that international superstar Tramar Lacel Dillard, better known as Flo Rida, has become Jackson Health Foundation’s first Celebrity Ambassador. Flo Rida is supporting the foundation’s fundraising efforts and elevating its presence as the charity of choice by activating a month-long text to give campaign “Let Your Heart Flo”. Through mid-March, supporters can text the word “FLO” to the number “20222” and donate $5 to benefit Jackson Health Foundation and the patients who depend on Holtz Children’s Hospital. 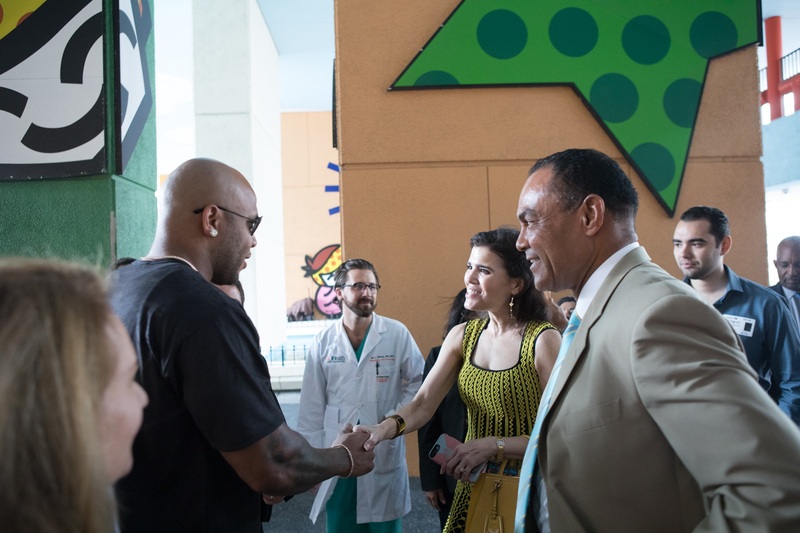 The renowned rapper has been a long-time supporter of Jackson Health System and is determined to spread the word about the great work being done at one of the nation’s largest and most respected public healthcare networks, dedicated to offering world-class care to all residents of Miami-Dade County, regardless of their ability to pay. The text-to-give campaign was recently launched during a visit to Holtz Children’s where he had the opportunity to record a lip-syncing video “My House”, which will serve as the official song for the “Let Your Heart Flo” campaign. 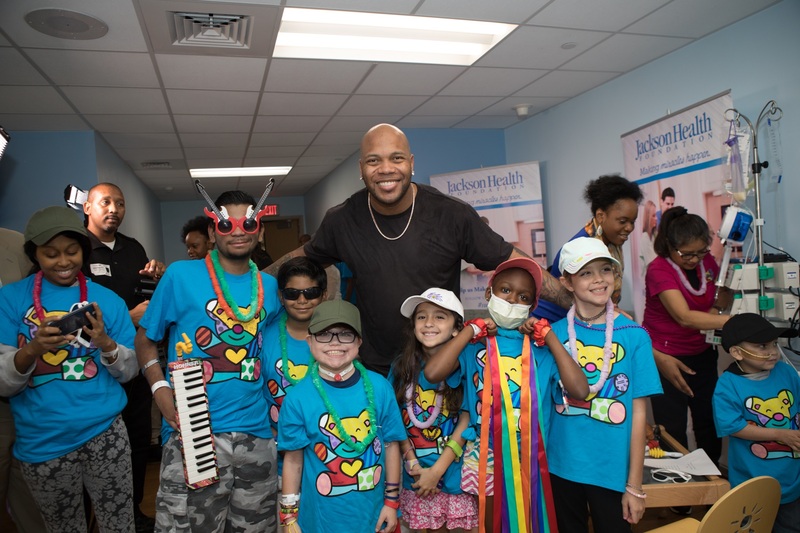 “During my visit to Holtz Children’s Hospital, I was touched by so many wonderful people that give so much of themselves to help the children in need,” said Flo Rida. “I am honored to be the Foundation’s first celebrity ambassador and use my voice to raise awareness for an amazing cause.” The event served to launch the Foundation’s Ambassador Program, which will work with national and local celebrities to create a network of influencers committed to supporting the Foundation’s mission. To learn more information about Jackson Health Foundation, please contact Lisbet Fernandez-Vina at 305-585-(GIVE) 4483 or lisbet.fernandezvin@jhsmiami.org. Jackson Health Foundation, a 501(c)(3) organization, is the fundraising arm for Jackson Health System, the most comprehensive healthcare provider in South Florida and the largest public hospital in the country. Through the generosity of compassionate donors, the Foundation seeks private philanthropic funds to improve the System’s facilities, provide the most advanced equipment and technology, and support its priority projects. The Foundation’s fundraising efforts allow Jackson Health System to provide life-saving medical care to all of its patients, regardless of financial need, and improve health care delivery, enhance the hospital experience for patients, and promote wellness and preventive medicine. Jackson Health Foundation offers several fundraising programs, including the Golden Angel Society, the Foundation’s premier giving society; Guardian Angels, who are dedicated to supporting Holtz Children’s Hospital; International Kids Fund Wonderfund™, a global outreach program that provides medical care to children from around the world who cannot be treated in their home countries; and the Young Angels Program, for individuals ages 21-45, who believe that participation in civic engagement activities is vital to the health of their community. Founded in 1991, the Foundation is governed by a volunteer Board of Directors committed to philanthropic activities that, to date, have raised over $140 million to benefit Jackson Health System. For more information about Jackson Health Foundation, please visit www.JacksonHealthFoundation.org or call 305-585-GIVE (4483). Jackson Health Foundation, a 501(c)(3) organization, is the fundraising arm for Jackson Health System, the most comprehensive healthcare provider in South Florida and the largest public hospital in the country.